I was saddened to read this morning that the U.S. Kindertransport Association have called time on their annual conferences with so few Kinder left alive or unable to attend through ill health and age. I believe London is still going strong as is 91 year old Joe Stirling of Norwich. His story of arriving in England from Nazi Germany on the Kindertransport features in my debut biography Escaping Hitler, available from January 2016. May the memory of those brave young people and their parents who sacrificed so much live forever. 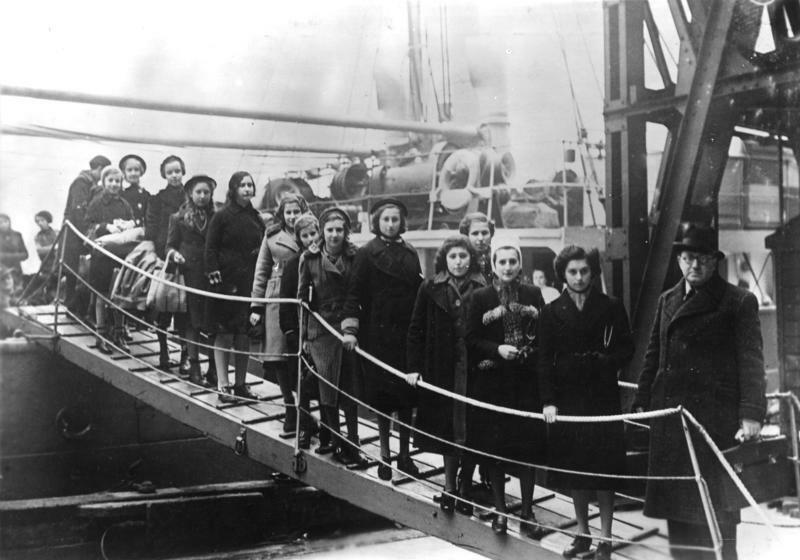 Between November 1938 and the start of World War II, the Kindertransport rescue movement saved the lives of nearly 10,000 children, transporting them out of Nazi Germany, Austria, Poland and Czechoslovakia to safety in Great Britain. After the war, HIAS helped many of the Kinder resettle in the U.S. In 1989 in London, England, the Kindertransport Association (KTA), held a reunion for Kindertransport survivors. Since then, there have been meetings throughout the United States. This October KTA’s 13th national conference was held outside Detroit, Michigan. The event was bittersweet as it was also the last KTA conference, as fewer and fewer Kindertransport alumni are still alive or able to travel to such gatherings. HIAS president Mark Hetfield gave the keynote speech at the conference’s final dinner. Today, HIAS works to help children and families of all religions escape from persecution. This mission has been enthusiastically championed by Manny Lindenbaum, one of the Kindertransport survivors, who attended this year’s conference. In 2014, at the age of 83, Manny decided to retrace his refugee journey backwards, from Poland to Germany, on a bicycle. He made the journey, along with his grandchildren, to raise money for HIAS programs in Chad in honor of World Refugee Day. “The lessons of the Holocaust are not forgotten. They are very much alive in the way that we treat refugees today. In that sense, it was natural for HIAS to be present at the last Kindertransport conference,” Hetfield said. « ESCAPING HITLER SPEAKING ENGAGEMENTS COMING IN FAST!